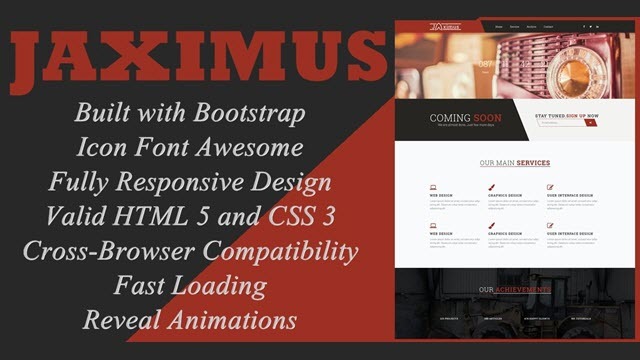 Jaximus - Responsive Coming Soon Blogger Template is responsive coming soon page. Bootstrap is used for grid system. It has different section including About, Services, Archive, Contact, Maps.